Pages in my passport - B.L.A.S.T. Thank you Kevin Bacon for sharing your favorite sandwich in Bon Appetite. It's a souped up BLT but even better! Bake the bacon at 400 until the bacon is crispy, 15-20 minutes. Try to flip the bacon lattice to get the underside crispy too. I made it exactly as Kevin likes it! Toast the Rye. 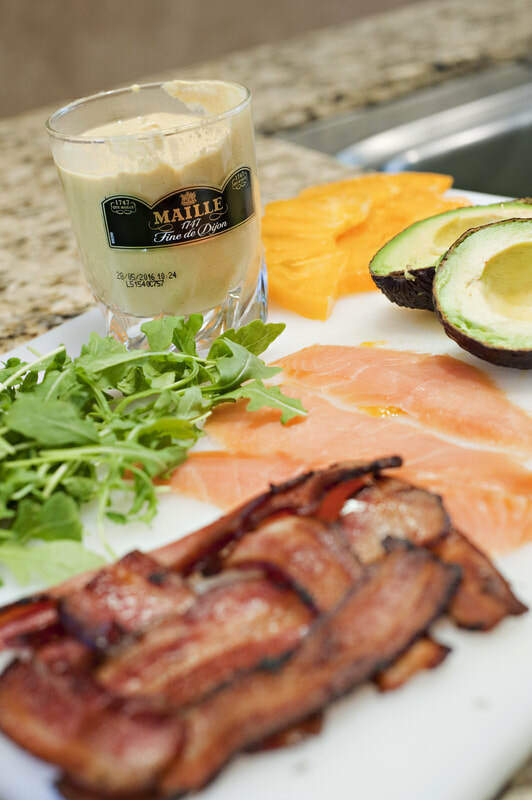 Mash the avocado onto one side of toast and spread a thick layer of mustard on the other. I lattice the bacon before I bake it so it comes out as a "slab" of bacon and won't get squeezed out of the sandwich. 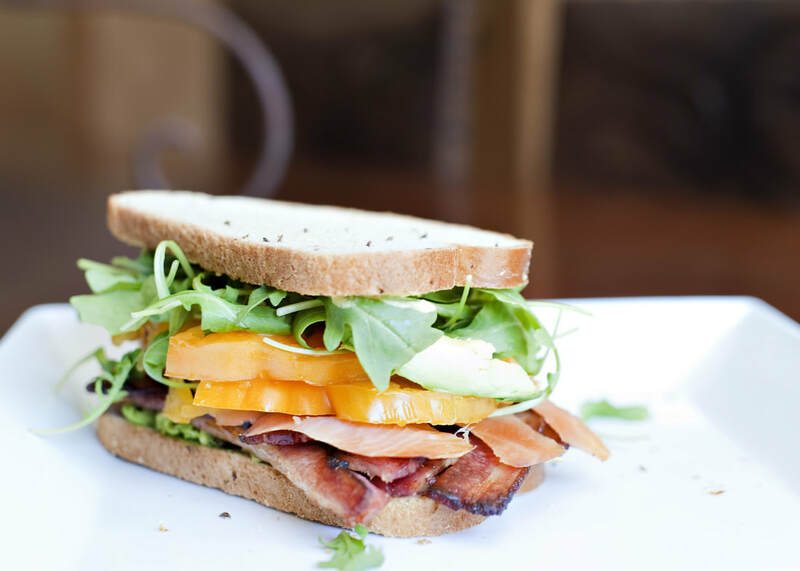 Layer the salmon, tomatoes and arugula and get to eating!